Where Will Your Download Files Be Stored? How Will Your Download Files Be Distributed? Will Your Download Files Or Content Need Protection? Who Will Share And Distribute Your Files? This step-by-step tutorial shows you how to better plan the process of adding, protecting, managing, and sharing downloadable files and content online in WordPress. You may want to add downloadable or shareable content on your site as part of your content plan or content marketing strategy. Additionally, you may want to protect your download files or content from being shared or accessed without your permission. Before you start sharing downloadable content online, it will help to work out a few things first. Where will your download file(s) be stored? How will your download file(s) be distributed? Will your download file(s) or content need protection? Who will share and distribute your file(s)? Downloadable files need to be stored either on your server (i.e. where your WordPress site is installed), or somewhere else (e.g. a cloud storage service). There are many benefits to storing and distributing your downloadable files from a cloud storage location, like Amazon S3, Drop Box, etc. We’ll discuss some of these benefits later in this tutorial. Will anyone be able to freely access and share your downloadable content, or will they only have access to the content after completing a purchase, signing up for your newsletter, or sharing it with their friends on social media? For example, you may want to give account or trade customers access to a downloadable discount price list. In this case, you will probably want to store the file in a private area of your site that only certain users can access, but not necessarily need to protect the file content itself. Giving access to confidential or encrypted files that need to be unlocked with a password. Distributing software that requires users to enter a license key to unlock and use the application. Another thing to consider when planning to distribute downloadable content is who will share and distribute your files. Will users only be able to download the file from your site or will your file be available for downloading on other sites too? Planning this aspect of the process is important because if you don’t, things can quickly become unmanageable, especially when it comes to keeping your content files up-to-date. Now that we have looked at some of the questions and decisions you will need to make when planning to add downloadable or shareable content to your digital presence, let’s take a look at how to add, manage, and protect your downloadable content. As mentioned earlier, downloadable files need to be stored either on your server, or in a remote server location. 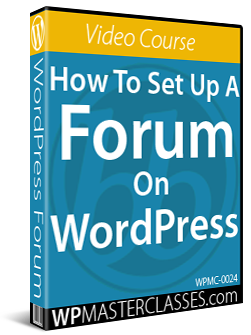 WordPress lets you upload files directly into your posts or pages, or via the WordPress Media Library to be used later. WordPress supports uploading various file types using the media uploader. To view the full list of supported file types, click here. Not all file types are allowed to be uploaded using the media uploader and not all webhosts allow files to be uploaded. Additionally, you host may not allow large files to be uploaded to your server. For this reason, we recommend storing and distributing your files from a cloud storage service like Amazon S3, Drop Box, etc. There are a number of reasons why you may want to protect a downloadable file and its content. The main reason is to protect files and content from being accessed by unauthorized users. 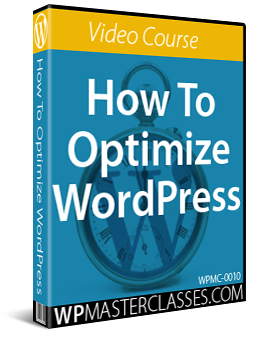 WordPress lets you manage your download files right out of the box but it doesn’t have advanced management features like download password protection, tracking file revisions and the number of downloads, preventing unregistered users from accessing your files, managing and selling digital downloads and more! WordPress Download Manager is a free WordPress plugin that lets you manage, track and control file downloads from your WordPress dashboard. You can control access to your download files using passwords and user roles, control downloads by speed or by putting a limit on download count per user, block bots or unwanted users or spammers using Captcha Lock or IP Block feature, ask users to agree with your terms and conditions before they can download files, and even sell digital items and products. Download Monitor is a free WordPress plugin with an intuitive user interface that lets you upload and manage, categorise and tag downloadable files, insert download links into posts and pages, display download links, track downloads, log access & show file download counts, add multiple file versions per download, and more. This plugin also provides extensions and add-ons that allow you to integrate your downloads with remote storage accounts (e.g. Amazon S3, Google Drive, etc. ), add Captcha, email lock (users need to provide their email address before they can access the download), email notifications, adding terms and condition checkboxes, CSV import and export and more. WP Download Manager Pro is a premium WordPress files and documents management plugin for managing, tracking, and controlling file downloads. It is also an e-Commerce solution for selling digital products from your WordPress site. The plugin includes many features for selling & monitoring file downloads like price variations, licensing, password protection, download visibility based on members roles and capabilities, hit counter, etc., as well as social locking and media streaming features. WP-Filebase Pro is a plugin that keeps your download files structured in categories, comes with smart, mobile-responsive templates to embed files into your post or page content, and provides fast download features for users. This plugin lets you securely sync files with an FTP server or use an extension for Dropbox, Google Drive, OneDrive, Amazon S3 (including Cloudfront), GitHub, ownCloud and others. 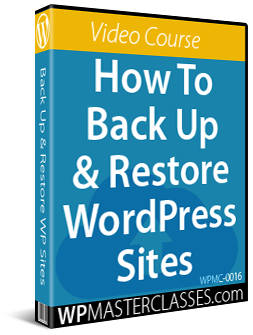 Files remain wherever they are uplaoded and the WP-Filebase plugin handles permissions, URL signing and redirects. Additionally, the plugin scans your files for meta data and keywords, so your actual document content becomes searchable, lets you assign individual access and upload permissions per user or user-role, prevents direct, unauthenticated file access, and protects download files stored in the cloud. 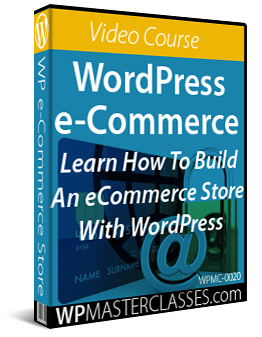 WooCommerce is a free eCommerce plugin that allows you to sell anything, anywhere. WooCommerce powers over 30% of all online stores and is built to integrate seamlessly with WordPress, giving store owners and developers complete control, endless flexibility, and access to hundreds of free and premium WordPress extensions. WooCommerce is more than just a download file management plugin. It is a complete WordPress e-Commerce platform that lets you sell all types of physical and digital products, offer bookings, memberships, recurring subscriptions, discounts on digital downloads, and a whole lot more. Trackerly is a complete link management and redirection tool that lets you create powerful keyword redirect links branded to your website, with advanced analytics made for marketers, and gives you complete control of your download links (see the special tip below). Trackerly is an SaaS (Software as a Service) application with a WordPress plugin. Let’s suppose that you distribute your products through different outlets. As part of your marketing strategy to increase product sales, you create an online catalog and encourage your distributors to promote your online catalog. Where will you store the catalog file? Will your distributors have access to a copy of your catalog file so their customers can download it from their website, or will they have to send their visitors to your site to download the catalog? If your distributors have a copy of the catalog file, what happens when the catalog needs to be updated? If you store the catalog file on your server and ask your distributors to point their download link to your server location, what happens when you update the file? Will you have to overwrite previous versions of your catalog? If so, what happens to the old versions? How will your distributors access older versions of the catalog if required? 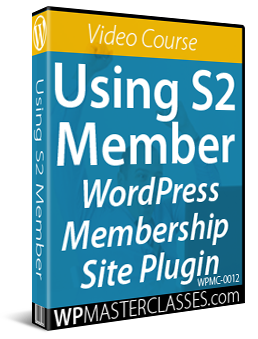 First, you will need to set up a cloud storage service like Amazon S3 to upload and store all your downloadable files. Next, set up a link management and redirection tool to manage your download links. Upload your file to your cloud storage account (see this tutorial). Copy the link of your uploaded file and use it to create a redirection link in your link management tool (see this tutorial). This redirect link is the download link for your file. Use only this redirect link on your site and everywhere else. When your file needs updating, all you have to do is upload the new file to your cloud folder location, overwriting the old file. Anyone who clicks on the download link will get the latest version of your file. If you change your download file’s destination, simply change the destination URL in your link redirection tool. The download link will remain the same but users will be redirected to the new destination URL. Let’s say you create a product catalog and name the file XYZCatalog2018.pdf. This is the link you will share and use everywhere for downloading your product catalog. If you update your product catalog, just replace the old file stored on your Amazon S3 account with the updated file and everyone who clicks on the dowload link will get the new version. Now, what if you want to create a new catalog each year (e.g. XYZCatalog2019.pdf, XYZCatalog2020.pdf, etc.)? First, upload each new catalog file to the cloud into the ‘catalogs’ folder. With the above example, your call to action should be something generic like “Download the latest version of the XYZ catalog here …” (i.e. don’t mention the year). This way you don’t need to change anything in your posts or pages. Everything will be managed from your cloud storage folder and your link redirection tool dashboard. Also, if users need to download previous versions of your catalog, just create an archive or repository page and add a table or create a list with links to the older files. We hope that you have found the information above on planning, adding, protecting, managing, and sharing downloadable files and content in WordPress useful. Button and download arrow images sourced from Pixabay.